The secret to capping costs on brake repair in Burke, VA, is detecting problems early. The sooner you have your brakes checked after noticing certain telltale symptoms, the better. Catching faulty brakes early minimizes the risk of brake failure and typically means a lower bill for your brake repair. In Burke, VA, you can trust the well-trained auto professionals at Wiygul Automotive Clinic to perform a thorough brake system inspection using state-of-the-art diagnostic technologies. 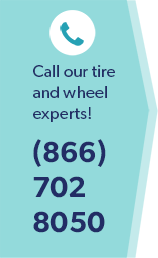 As a member of the Goodyear Tire & Service Network, Wiygul Automotive Clinic maintains high standards for our work and uses only quality parts and fluids to keep your vehicle running safely and smoothly. Is your brake fluid low, or does it appear very dirty? Do you hear a grinding or squealing sound when you apply the brake pedal? Do you feel a pulsation or sponginess in the brake pedal when it is depressed? By being aware and taking immediate action you can avoid more costly and extensive brake repair in Burke, VA, while ensuring your continued safety while driving. Count on the brake experts at Wiygul Automotive Clinic to help you take care of your car with affordable brake repair in Burke, VA.